It is well established that family mediation services provide a more flexible, affordable and satisfying process for couples ending their relationship than an adversarial court battle (see amicable divorce). There are also various benefits for children when using family mediation, such as helping them cope. If you have decided to end your relationship with divorce or separation, then mediation is a great process to consider. If you still haven't decided whether you want to choose divorce or to stay together, read the blog about choosing divorce or family therapy. Mediation is a flexible process “not limited by legal categories or rules, it can help reframe a contentious dispute as a mutual problem.” Mediation, in its most basic form, helps to facilitate communication between parties to change competitive bargaining into problem solving focused negotiation that helps meet the needs of both parties involved. See our blogs on negotiation and mediation vs arbitration to learn more. The process is also flexible in terms of how the discussions take place, whereby parties have input in the agenda and how the process moves forward. For couples facing separation or divorce, a mediation process can offer a much more flexible way of dealing with the difficulties of ending a relationship. Instead of being stuck with rigid deadlines, a mediator can help you come up with solutions based on your's and their schedule. Divorce is considered a time of crisis for the family unit, so anything that can adapt to the family's time constraints is a good thing. Instead of having to wait for months or possibly years to have a case resolved in court, family mediation can take a matter of hours or days. In addition, family mediators have different styles that may better meet the needs of your particular family. For example, a family mediator might be trained in working with particular cultural or religious group or may speak your mother tongue. Such a mediator could provide a process that is more comfortable and appropriate for the parties based on their broader needs and diversity. Family mediation is also flexible in the outcome of the process. Of course, family mediation works within the framework of a country's constitution, laws and regulations. This means that a family mediation agreement must respect the laws of the country in order to protect vulnerable parties, etc. (note: be sure to request independent legal advice from a lawyer in your area/country, even if you chose to use mediation). 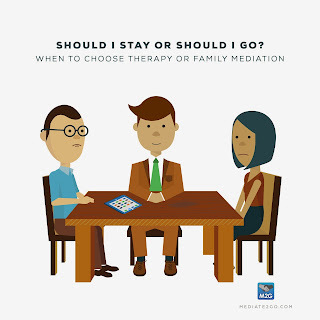 Family mediation is unique in that the parties have more leeway to design their own outcomes of separation and divorce, but a lawyer will be better placed to help ensure that the agreement meets legal requirements. Instead of relying on the courts to decide your custody arrangements, family mediation allows for a couple to collaboratively decide how they will share custody. Mediation is also more affordable for parties and the administration of justice. Parties attending family mediation were increasingly more likely to settle their dispute, compared to those litigating. This is a common benefit to mediation as a process of ADR (Alternative Dispute Resolution). This means that parties participating in family mediation and achieving resolution were no longer burdening the court system with their case. Some governments offer subsidized family mediation to help dissuade parties from a more adversarial approach, emphasizing, for example, the interests of all family members and the reduction of legal costs. Even if parties take advantage of subsidies that provide for a mediator, such as in Quebec, this process might take approximately 6 hours or less, with a court process taking months or possibly years. Mediation has been argued to increase access to justice for parties who cannot afford legal counsel. While mediation is not a replacement of the court process, nor the assistance of a lawyer, the process may allow for the facilitation of parties needs, and reduced need for a lawyer for the entirety of the process. Sometimes, parties use the services of a mediator, and then seek independent legal advice once they have a draft settlement agreement, thus, paying for fewer hours of legal services. Mediation is more satisfying for parties than litigating. Couples dealing with divorce can come to mutually agreeable solutions in relation to all aspects of the divorce; including access and custody arrangements, division of property and assets and more. Part of this more satisfying process means that parties are able to avoid some of the emotional and financial costs of traditional legal processes – fighting in court. See our blog called Don't let fights go bad and building an emotional air conditioner. In addition, parties’ needs and interests are more likely to be met. In terms of results, mediating custody disputes produces better outcomes for families than adversarial legal battles. In these ways, mediation is a more satisfying process. See our blog on family fights and how to fight fair. A great deal of research discusses the benefits of family mediation for children. Conflict is negative for children, so anything that can reduce the animosity between parents is beneficial for kids. 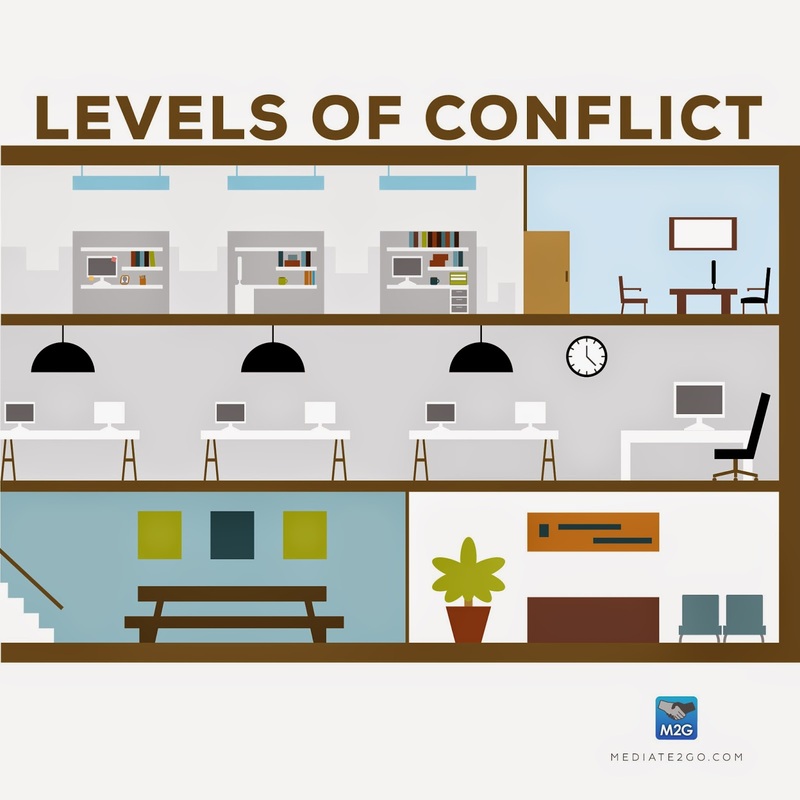 A court process only exacerbates aggressive conflict tactics (see our blog on conflict styles). In addition, through offering creative and flexible solutions for families, family mediation can help parties avoid negative and destructive conflict in the future, by helping them develop effective agreements and teaching skills in conflict resolution. 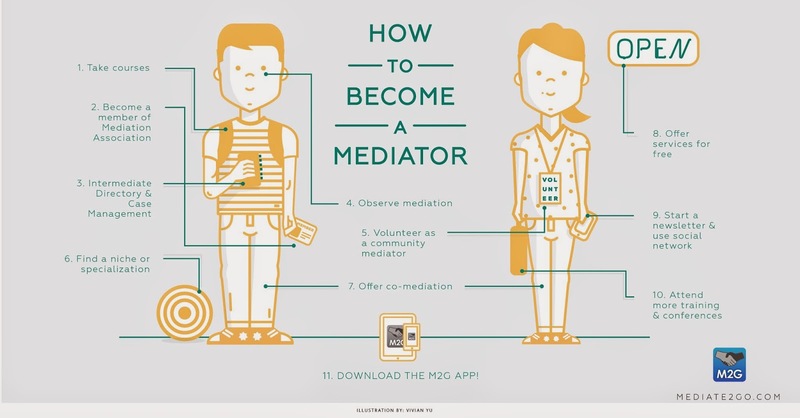 Also, read our blog on How to find a good mediator. Robert A Baruch Bush and Joseph P Folger, The Promise of Mediation: The Transformative Approach to Conflict (San Francisco, California, Jossey Bass, 2005) at 71. Bush and Folger, supra note 1 at 72. Joan B Kelly and Robert E Emery, “Children’s Adjustment Following Divorce: Risk and Resilience Perspectives” (2003) 52 Family Relations at 376 citing Emery R (1994) Renegotiating family relationships: divorce, child custody, and mediation (New York: The Guilford Press, 1994). Justice Quebec. Family mediation - Negotiating a fair agreement, online: <http://www.justice.gouv.qc.ca/english/programmes/mediation/accueil-a.htm>. Jessica Pearson (1994) Family mediation. In S Keilitz (ed), A report on current research findings - implications for courts and future research needs (pp 53-75). Washington, DC: State Justice Institute.